Hi, I’m David Cowling, I’m a partner at Roberts and Cowling. As an accountant and business adviser, I see a lot of clients who suffer a huge amount of business related stress. I’m currently exploring the ideas surrounding stress and business ownership, and ways of minimising stress and the impact of stress in that environment. My work on this stems from my vision that my clients are free from the stresses of enterprise so that they can live with wealth and joy and for them to perpetuate that into their tribes. I’ve asked Melissa Hager, a psychologist from Axis Clinics to join me and talk about this particular subject. Melissa has experience working with people to provide assessment and intervention for a range of psychological presentations including: anxiety, mood disorders, self harm, substance abuse, and stress. 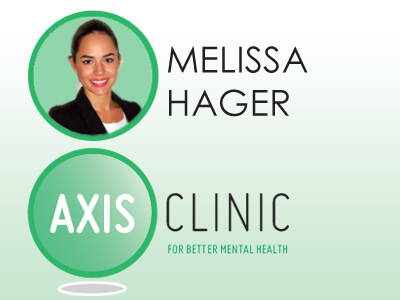 Melissa Hager Specialises in CBT ~ (Cognitive Behavioral Therapy) at the Axis Clinic. David Cowling: So I really want to thank you, Melissa, for taking your time to have a chat with me about this today. Melissa Hager: Sure, not a problem. David Cowling: One of the first things I really want to talk about is what the clinical definition of stress actually is? Melissa Hager: Yeah, definitely. So David, I guess stress is quite a broad term and it’s a term that we use on a daily basis. In terms of a clinical context, stress is the core mental, or emotional factor that is causing us bodily or mental tension. Often when we talk about stress in a clinical context, we talk a bit around the flight response, the threat response. When people process some form of stress or threat, it can give us psychological symptoms and even actual physical symptoms. David Cowling: So that initial kind of easy stress or low-level stress is pretty normal. Everyone’s going to experience it from time to time. It’s probably healthy in some regard? Melissa Hager: Yeah, so we do need stress at times to help us perform. There is this optimal level of stress that we can experience. 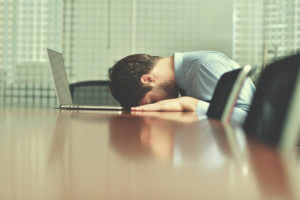 However, if that stress does continue, that’s when we can see a bit of a drop off in performance, and it does start to create an impact on cognitive abilities and our functioning. David Cowling: Okay. So, that leads me to the next question about the difference between the clinical definitions of stress, versus the clinical definition of depression. Is it that prolonged stress may lead to depression? Melissa Hager: Yes it can. In terms of a definition for clinical depression, sometimes known as major depressive disorder, which is a mood disorder, someone can experience quite severe symptoms that are impacting daily functioning. So it’s impacting things like how we think and how we feel. Apathy can creep into work and our ability to socialise. Another thing which must be present with clinical depression is that symptoms must be present for a sustained period of two weeks or more. Prolonged stress can lead to clinical depression. Melissa Hager: So that can be key criteria in clinical depression. In terms of the link between stress and depression, findings indicate that if we are not managing or coping with prolonged stress, it can increase the risk of developing mental health issues. If we are not looking after ourselves and developing effective stress management behaviours, our inability to cope with prolonged stress can also impact our physical health. David Cowling: So do we think that stress and anxiety, and then depression are more prevalent now than they have been in the past? If that is the case, what would the reasons be for this increase? Melissa Hager: Yes. It is a little bit of a grey area, because help seeking has improved over time. There’s a lot more mental health awareness out there, we’re more willing to go and talk to someone, there’s more education in the community about mental health. That’s something to factor in regarding the prevalence, and that has impacted statistics and the rise that we might be seeing. The body of research regarding the increased prevalence in adults is less than that involving the prevalence in young people, however, research demonstrates there is an increase in mental health issues including anxiety and depression. Again, I think, we really need to factor in that people are more willing to seek help today than they were in the past. Melissa Hager: There is definitely more awareness out there. David Cowling: Which is good, which is very good. David Cowling: Excellent. If we put that to one side a little bit, to say that at least we’ve got more knowledge about it and people are willing to seek more help. Is there any other reasons that might be driving young people, in particular? You see a lot of statistics, there was a horrible stat I saw the other day about the amount of men, young men committing suicide. David Cowling: I’m just wondering whether there’s any causal relationship there? Melissa Hager: Yeah. There is research which does show that unfortunately men are still less likely to seek help for emotional needs in comparison to women. This may be a factor that’s impacting that divide. So then they’re not gaining that support that can help them through that time. Melissa Hager: That’s something to just have a bit of a think about there. The issues around what’s impacting young people have not been fully researched. There are a range of stressors around performance and societal issues. Social media is a very big part of young people’s lives now, a factor which was not in play around 10 or 20 years ago. There’s a lot of changes around that, we’re all a lot more connected, we have to actively disconnect into today’s age. David Cowling: So, bringing it back to business owners. 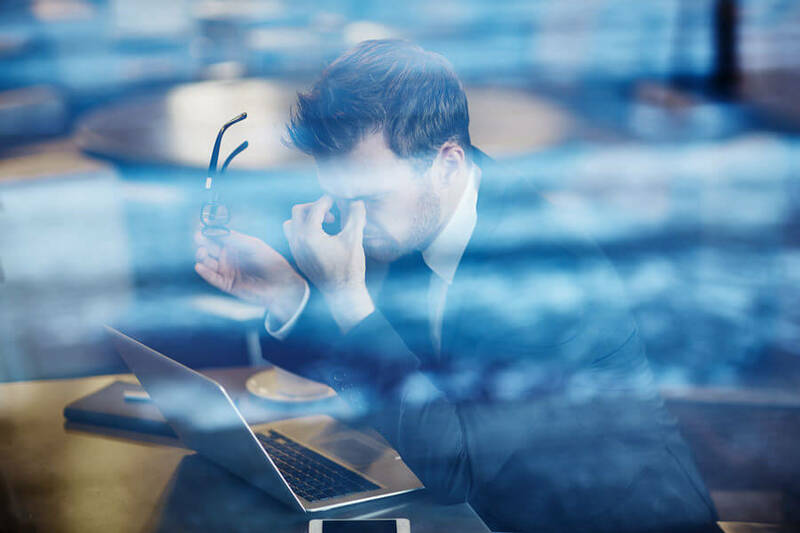 What are the typical causes of stress for business owners? Given those causes of stress, how would that likely manifest itself in a business owner at any given time? Melissa Hager: You’re going from one environment where you know your pay each week, or fortnight, you know your hours, and you’ve got a lot more structure. There’s a lot more uncertainty around the transition into your own business, especially I think in the initial phases. Envisioning what that will look like can be a bit unclear for people, so that’s definitely a big stressor. Inter-personal dealings as well, so again, managing your own business, managing employees, clients, customers. Sometimes inter-personal stresses can be there as well. Wearing multiple professional hats also ties into that. Being your own bookkeeper, you might be your own human resource’s adviser; you’re all these different professional hats. Then there’s also balancing that work and home life. Initially with setting up a business, there might be more time going into it that maybe people didn’t account for with setting things up. Sometimes it can be a bit harder to divide that work and home life. Financial stress can wear a person down to not function effectively in business. David Cowling: I get this vision of when you’re an employee, in many respects, you’ve got fewer buckets you’ve got to fill. It can still be challenging, but you’ve got as you said, structured versus unstructured. When you’re a business owner, you’ve got many more buckets, including the ones you probably would’ve had as an employee as well. You’re trying to fill them all and keep them all full at the same time. The finance one seems to be particularly noted, from my perspective at least. I think that finance one is a symptom. Finance issues come around, because there are other problems in a business. David Cowling: Then stress comes from the fact that the finance is in a horrible state, it’s these causative relationships. Finance is one of the big tell-tales, and then the stressors which come with that become really intense. Can you give me some feedback on how undue stress, particularly around business-related stress, affects relationships, both internal to the organisation and also external to the organisation? Particularly personal relationships with spouses, that sort of thing? Melissa Hager: Yes, stress can really impact our cognitive resources and our ability to access them when we are under stress. So that can then have that chain effect in the business where making more reactive decisions can impact inter-personal relationships, morale, and problem solving abilities. Looking at the external impacts, if that stress does fall into the home life, people are coming home with that stress and not managing it effectively. It can again impact our responses at home, we might become more distracted or more reactive and not be as tolerant as we should be. Yes, I think the big thing is we’re being a bit more reactive and unresponsive. David Cowling: Okay, good stuff. So at what point does stress over a longer period of time start to reduce that cognitive ability? Something more sinister like depression starts to take hold over a longer period I suppose. What recommendations would you make to people, and how do they differ from that long term cognitive impairment than if you were just dealing with stress? Melissa Hager: I guess stress impacts individuals very differently, regardless of gender culture and things like that. If stress start’s to impact daily functioning, that’s when we do really recommend, okay maybe it would be worth talking to someone, whether it’s just your doctor, to get an idea of how this is impacting you. Some more suggested options would be to take that step and talk to someone like a psychologist or counselor. Again, just to understand your stress responses and ways of coping with that, if it is creeping into your daily functioning or things like sleep, appetite, inter-personal relationships, areas like that. Even if it starts to impact just one of those areas. David Cowling: Coming back full circle to that discussion, the statistic is that eight Australians take their own lives every day. Six of those are men, and you were saying before that probably is likely to be because men aren’t as willing to seek help. The recommendation around depression is to make sure that you’re seeking help. I think it’s really important for men in particular. It’s important for anyone with depression, but when the statistic is something like six men every day, I think it’s really important that we get that message out. Not trying to live this “I’ve gotta toughen up lifestyle” and seeking some actual, professional help is really important. That leads me on to the difference in the demographics, I suppose. We can see men are quite high, does it manifest itself in any other demographics? We already touched on male versus female, but are there any age demographics or cultural differences that seem to alter this? Studies find that eastern cultures deal with stress differently to western cultures. Melissa Hager: Yes, so there are some cultural findings in terms of eastern and western and our conception of what stress is. Melissa Hager: Findings have found that, in an eastern cultural perspective, stress is perceived as a loss of peace, or inner peace. Versus western society, stress is perceived as loss of control. So that’s an interesting comparison there. That’s a cultural finding,which we know exists. David Cowling: Okay, that’s pretty cool. I guess I can definitely relate to the loss of control thing, given that we live in the west. Yeah, that’s interesting about that loss of peace idea. Can stress become a self-fulfilling prophecy? For instance, because you’re stressed about something that might happen, it’s probably more likely to occur? Or you make decisions that are bad decisions because you’re stressed, probably around that reduced cognitive ability, and you have more anxiety over a particular subject. Therefore those bad decisions may create bad outcomes, which we were fearful of, or different bad outcomes that exacerbate other problems. In that way, is acute stress, not the normal run of the mill stuff that we have every day, but it is acute stress, kind of a self-fulfilling prophecy? Melissa Hager: I guess, some things you talked around there were focusing a lot of on what the stressors are, so that may mean we’re ruminating, or thinking about it a lot. So in that sense, then we’re keeping ourselves in that stressed state, because we are constantly thinking it, and triggering that stress response within us. That’s where it links into that reduced cognitive ability, so it’s more like a following effect. If that makes sense, it puts it into context. I think one sort of impacts the other, which impacts the other, in a sense. So yes it can. David Cowling: Which contrasts to the way they begin their business journeys, typically. I know when I started a lifetime ago now I thought it was a lifestyle project. You think that you won’t have to work for a boss, and therefore you can come and go as you please. Other people fall into their business through family ties, you know everyone’s got their own story. How do you think that most people’s romantic ideas of business differ from the actual reality of business ownership? Melissa Hager: I think definitely, you know, we all have this view of what having your own business might look like. These expectations that we’re going to have flexible hours, and we can go in when we like, leave when we like, not having a boss, all these things. But I think it is still important to have a really balanced expectation going in, because it may be quite different to what you’re expecting. Something I want to recommend to business owners, especially if they’re just an individual, a self-starting business, is to try and engage in some form of business mentor-ship. Actually having a mentor that they can bounce ideas off of, bounce these expectations off, because I think that’s a big support that’s not there sometimes for business owners. Or even just someone that’s quite high up in an organisation. It can help with that reassurance, which we all need. We all need feedback and someone to bounce ideas off. So that’s something I sometimes recommend to help with that. David Cowling: Yeah, I like that, especially in the beginning like you’re saying, if you don’t check in those balanced expectations, then you start the bar really quite high about what this lifestyle’s going to be like. I’m going have fantastic income, I’m going have all the flexibility in the world, and all of a sudden, you get into it and you’re working 100 hrs a week for way less than you would have as an employee. You go from a major high to this awful low. That change, in itself, is enough to break a lot of people, I think, especially in the early days. 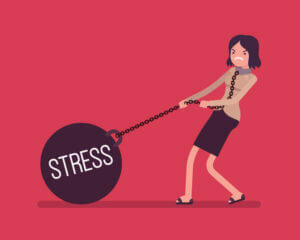 To what degree then do you think a stress is controllable? We go back to this western idea of control, is controllable and manageable in an organisation the same for a business owner? I’ll have to have a look at this eastern idea of peace, and see how that really does impact that. How much do you think it’s controllable in an organisation? Melissa Hager: I think there’s always some aspects that you can’t control through future planning. Like I mentioned, asking for some form of mentorship and support and those problem-solving skills and things like that will help. But then life will bring up stresses that we don’t expect, or can’t control either. In those times it’s really important to have support, tools and skills to have that resilience and bounce back. So they’re not keeping us down and then we won’t seem to have that spiral effect and we just bounce back from that. I think, yes there are elements that we can control. But again, managing expectations there’s always going to be elements we can’t control, or manage as much as we’d like to. Being adaptable enough to expect that, but also work with that and bounce back from it. David Cowling: Yep, awesome. I’m not particularly religious myself, and anyone who knows me would believe that and would know that I’m not particularly, but I think it’s called the serenity prayer and it’s knowing what you can, change what you can’t change, and the wisdom to know the difference, has always made a massive difference in my life. To be able to say, well I can’t change what’s going on over here, I have to accept it, and move on. I think a lot of people struggle with that idea. What do you think are good strategies for people to minimise or eliminate stress that’s related? I don’t think you can really eliminate it, but at least minimise stress that’s related to business ownership. Melissa Hager: I think coming back to that planning, and being quite organised, doing those future type plans, as well. So we’re forecasting. That’s where we can foresee if there are some speed bumps that we might come across and have a plan to approach and deal with them. I think a big thing is work-life balance. Being a business owner, you do dictate your own hours and again in the initial phase it can be quite easy to get caught up in excessive hours and take work home. Another thing, again, is that mentor and having someone that you can get some reassurance from, get feedback from, and learn and grow from as well. David Cowling: Yeah. Of course, if that’s acute, or it’s feeling a little bit more like it’s progressing beyond that two week mark, really causing some difficulties, you’d definitely be looking to seek help from a psychologist, like yourself. Melissa Hager: Yep, definitely. Talking to your doctor as well, that’s often a good start because usually you have a regular doctor, and feel comfortable talking to them. They’ll often recommend seeing a psychologist, and help people with that process and how to do that. David Cowling: Fantastic, all right. Thanks so much Melissa, really appreciate your professional expertise with this issue. If anyone is suffering the acute symptoms that we’ve discussed today, I definitely recommend getting in touch with Melissa and the team at Axis Clinics. Thanks again Melissa, that was awesome. Melissa Hager: Great, thanks David. Developing a healthy work/life balance, planning for foreseeable speed bumps and being aware of how it might affect both our personal and professional relationships can help us to deal with stress both on a day to day basis and when it becomes something more serious. At Roberts & Cowling, we pride ourselves in helping clients achieve their business goals by taking away the stress factor through diligent strategic planning. Talk to one of our friendly professionals to see how we can help you. If you feel that the stress you are experiencing is becoming overwhelming, please seek help by consulting a healthcare professional such as a doctor or psychologist. There’s no need to deal with the negative effects of stress on your own.